Proceeds from each purchase to benefit the CBC. Planting a tree in Israel in memory of a loved one is a time-honored tradition that is symbolic and heartfelt. 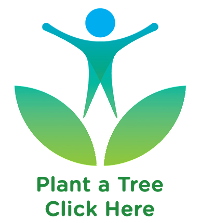 During all life-cycle events, but in particular when someone has experienced a loss and throughout the mourning process, planting a tree is an appropriate way to show your support. In the many faiths, there are many ways to celebrate, honor and commemorate the life of loved ones to help carry on traditions, customs and rituals. It is important to perpetuate the life and legacy of friends, family and ancestors no longer here for future generations. When & Why Plant Trees in Israel? There are several reasons that individuals and organizations observe the longstanding tradition of planting trees in Israel. Life-Cycle Events: Within many religions, the celebration, honoring and commemorating of individuals during various rituals, rights of passage and stages of life, including births, marriage and deaths have been symbolically marked by the planting of trees. The significance draws upon the roots of a tree, connection to Israel and even the expansion of tree branches. Spiritual, Cultural and Religious: There are a numerous interpretations that place religious and spiritual significance on the tree and connect to Israel. In many respects the life cycle of a tree mirrors closely to that of the human life cycle and bridging the the planting of a tree helps to connect and in some ways is representative to life itself. Conceptually, the seeds of trees spread wide and far like humans do, across the entire world. In a Biblical context, the Tree of Knowledge was one of the first things shown to Adam, thus demonstrating the importance of a connection between man and trees. Greening of the Earth: The land of Israel is located in the Middle East, which is a dry and desert region possessing limited trees and no natural forests. Therefore, all forests are hand-planted and require humanity to ensure that the land is fertile and habitable. Through dedication and devotion to greening in less than 60 years Israel has become one of only two countries in the world that entered the 21st century with a net gain in its number of trees. 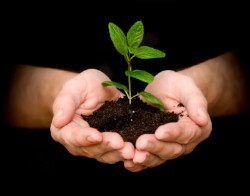 Environmentally Friendly and Preservation: There are many known environmental advantages to planting trees. Most notably, trees reduce carbon emissions, clean the air, conserve water, provide habitat, all of which help to protect against climate change. This is an act rich in tradition. The nostalgia of our grandparents taking the very same action is unmatched. From generation to generation.